Channel switching gets a bad rap in customer service. If you are not familiar with the term, it refers to situations where a customer starts an interaction with a company in one channel and the interaction moves to another channel. The customer sometimes initiates this. For instance, a customer might email a company with a question and then call a day later when she does not get a response. At other times, companies cause the channel switch. The classic example happens when a customer tweets at a company and the company replies saying, "Can you email your information to service@acme.com and we'll look into it?" Both of these examples seem bad, and they are. But there are definitely times when channel switching is terrific. I've become a fan of the ride sharing app, Lyft. App: I booked a ride on Lyft using the app and then tracked my driver. Text: Lyft texted to inform me my driver, Benjamin, was near. In-Person: This is the ride itself. Keep in mind in-person is a channel. App: I used the app to give Benjamin a rating and a tip after I arrived. This one experience used three channels (app, text, and in-person) and switched channels three times. What made it terrific was every channel switch was seamless and felt natural. The truth is we often seamlessly switch channels when interacting with companies. You might use OpenTable to book a restaurant reservation and then visit the restaurant in-person to dine. Or you might call a customer service department for assistance and the rep sends you a helpful follow-up email. You probably don't give channel switching a second thought when it works well. Companies like Lyft succeed because they make channel switching seamless and natural. Many companies do not. Website: searched for instructions or necessary forms (couldn't find any). Phone: Called for assistance. Was told to visit a branch. In-Person: Visited the branch to close the account. Was told it would take a day to process. Phone: Employee from branch made a follow-up call to verify account closed. Like my Lyft experience, this credit union experience featured three channels (website, phone, and in-person) and three channel switches. It was not a good experience because the channel switches felt forced and unnatural. It still doesn't make sense why I couldn't close my account online, given I could do just about everything else on the credit union's website. The one positive part of the experience was the branch employee who made a follow-up call. She was technically switching channels, but that part was fine because it felt like a continuation of the conversation. And that's the key. Good channel switching is seamless and natural. Bad channel switching just feels like the company doesn't have its act together. Jeannie Walters is the CEO of 360Connext. She's an expert in identifying and optimizing key moments in a customer's journey. Walters suggests companies should think about a customer's real life rather than design touch points around a process. She gives a great example from retail clothing stores. "Nordstrom and other retailers determined how customers like to order clothes online, but wanted the choice to return or exchange them at a store. Once these retailers saw the need for seamless channel switching, they were able to make returning via any channel easier. Now customers have the choice of returning by sending back with a pre-paid label, going to a store, or even calling a special phone line." Experience your products or service like a customer would. Contact your customer service department, just like a customer might. Talk to real customers and gather their feedback. The goal is to find pinch points that harm the experience and find a way to make them seamless and natural for your customers. Imagine you had to contact TSA. That's the Transportation Security Administration, the government agency. The agency that's been blamed for long lines and missed flights. Surprisingly, you'd do well to use Twitter if you need to contact TSA. Within an hour, I received a helpful response from John at @AskTSA. Better yet, my problem was solved. John had discovered the travel agent who booked my flight had made a typo on my birthdate. He contacted the airline for me and gotten the problem fixed. All I had to do was re-print my boarding pass and I'd get to sail through the pre-check expedited screening line at the airport. Twitter isn't my preferred channel for this sort of thing. But, I know from previous experience that @AskTSA is very responsive and helpful. This example highlights why letting customers contact you via whatever channel they want is nonsense. (My preferred channel would have been email.) There's a better way that will leave them much happier. That's 500 phone calls per day and 300 emails. And, those 10 percent of contacts from Twitter pencil out to 100 contacts per day. It's a decent amount. Hiring. Can you hire people who are skilled in all channels or will you need to create separate hiring profiles? Training. Do you have a training program in place for handling each channel? Scheduling. Can you put the right people in the right place at the right time for each channel? Technology. Does your contact center technology solution effectively support all of these channels, or do you need to acquire additional resources? These issues are tough to manage for one or two channels. It gets even harder the more channels you add to the mix. The reality is lower-volume channels often get short-changed when it comes to these issues. For instance, a 2016 study from Execs in the Know revealed that only 64 percent of organizations provide their social media team with training. So, each time you add a new channel, you dilute the resources you have available to support all channels. In their book, Uncommon Service, authors Frances Frei and Anne Morriss lay out a compelling argument for making trade-offs in order to deliver outstanding service. Southwest Airlines is a prime example. The airline is consistently one of the top rated carriers for customer service. They have legions of adoring fans. Look closely, and you'll also see things that Southwest does worse than other airlines. Let's go back to customer service channels and apply the same logic. Most companies can't provide amazing service via every channel under the sun. But, they can serve their customers at a high level if they concentrate on just a few. Customers really want low friction. My friend, Leslie, was recently traveling through Toronto's Pearson airport when she noticed vomit outside the restroom. It was a hazard (not to mention disgusting), so Leslie decided to report it. I asked her why she used Twitter. It seemed an odd choice to me at the time, but Leslie's explanation made perfect sense. Keep in mind that Leslie was a busy traveler who wanted to alert the airport's janitorial staff to the issue but not spend a lot of time doing it. She naturally chose the channel she felt would be both easy and effective. Studies show that customers frequently make these sort of calculations. People often look for self-service options first because they seem easier. Channels like the phone are increasingly becoming a fall-back option when the customer's first choice was unsuccessful. Ask yourself three questions before you add a new channel to your growing mix. Can you serve your customers effectively? Can you serve your customers consistently? Here's a how-to guide that gives you an in-depth look at each question. Get the latest posts and receive the training workbook: 10 Customer Service Activities to Supercharge Your Team. Customer service channels were simple in the good ol' days. Later, fax came in handy for business-to-business communication. Email eventually started catching on and then, boom! It's suddenly become a channel arms race. 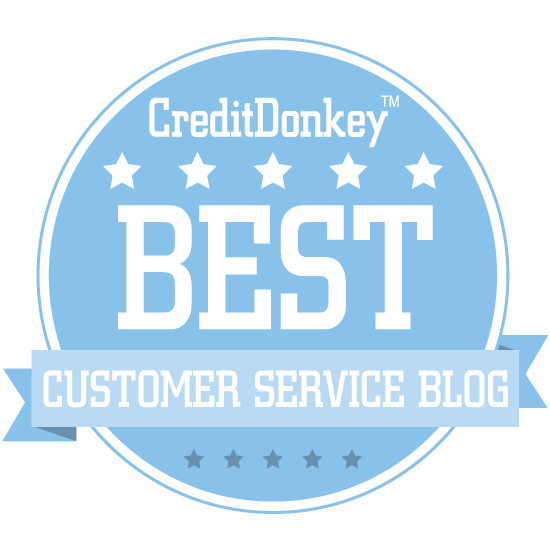 Your might be tempted to add a new customer service channel in an effort to keep up. Before you do, I want to let you in on a little secret. Your customers don't really care about channels. What they do want is a seamless experience. So, before you invest a chunk of change in the latest channel craze, make sure you can answer these three questions. Question #1: Is there enough demand? Parature's 2015 U.S. State of Multichannel Customer Service report reveals these are by far the most preferred channels. It also helps to have a robust customer service website since the majority of customers go there first when looking for help. Adding a new channel to the mix can take a lot of resources. You'll need invest in the right technology, hire and train the right people, and create procedures to tie it all together. Oh, and you'll need someone who actually knows what they're doing to manage it all. That takes time. Let's say you're thinking of adding SMS (text) support. It's probably not worth it if only one or two customers per day want to send you a text. On the other hand, you've got a pretty strong case if your daily volume is 100. You also need to understand whether an additional channel is adding new contacts or diverting contacts from a different channel. For example, a 2015 Zendesk report revealed that implementing live chat typically draws contacts away from other web-based contact methods. Question #2: Can you serve your customers effectively? One is context. Some channels are better suited than others for certain applications. Let's look at email as an example. It's great for simple, low urgency inquiries. It's terrible for complicated, high-urgency matters. This is especially true since the typical company takes one day or longer to respond. You might be itching to add live video support because you've heard it's so great. Then you start looking into what it actually takes to make it happen. You might face some significant technology, staffing, and infrastructure hurdles. Companies sometimes worry about their customer's channel preference. But, here's a secret. Your customers aren't really committed to their preferred channel. A 2012 study by CEB found that 84 percent of customers prefer a seamless service experience over using their channel of choice. They want a fast resolution on the first contact with minimal effort. Only 16 percent of customers were steadfastly committed to using their preferred channel. Question #3: Can you serve customers in a way that's consistent with your brand? A lot of companies have service channels with multiple personalities. Social media provides a common example. Customers of some companies have learned that they'll get faster, friendlier, and more helpful service by Tweeting their complaint rather than calling. Things get even trickier when service interactions move from one channel to another. Customers expect a seamless experience. One passenger experiencing a flight delay might use six or more channels. A lack of consistency in service quality across those channels can be frustrating. Her point was that companies can easily lose their way by chasing the next trend without giving much thought to execution. The best brands focus on being good at doing a few things really, really well. That philosophy applies nicely to choosing the customer service channels you'll support. It's far better to have a few well-supported channels than many channels that aggravate your customers. You can learn more about managing multiple channels by watching this short video. Do your service channels have multiple personalities? How many personalities do your service channels have? The proliferation of multiple service channels is making customer service harder for companies to manage. The task is even more daunting when each channel has its own distinctive personality. Not all of these personalities are good. Baggage Counter. These folks have seen it all. Nice, but curt. 800 Number. The call center agents were friendly but perfunctory. Twitter. The American Airlines twitter personality is light, engaging, and helpful. Customers will take your channels’ personalities into account when deciding how to contact your company. For many organizations, this may be one more way you are training your customers to complain via Twitter. What causes these multiple personalities? One culprit is channel ownership. A 2012 study by Ragan found that only 19 percent of companies had their customer service department manage or co-manage their social media channels. See a trend? The data suggests that most companies still operate under a philosophy that social media drives sales but customer service is a cost center. Many companies also look at traditional one-to-one customer service channels as being very different from one-to-many. This isn’t totally unreasonable. That call where your employee was a total jerk to your customer was only recorded for quality and training purposes and not for broadcasting over the internet. Of course, this short sighted approach misses a very important detail. People still have the ability to share their version of the story via with their own online networks. Want proof? Check out the Twitter hash tag #comcastsucks. The fix to this problem is changing the corporate philosophy to firmly realize that customer service drives sales. Those one-to-one interactions are all preserving sales and creating future ones. Another reason service channels can have multiple personalities is nobody has taken the time to define what outstanding customer service looks like for our organization. A recent survey I conducted revealed that only 62 percent of companies had created their own definition of outstanding service. It's no wonder each channel does it's own thing without a single owner or a unifying definition to guide them. 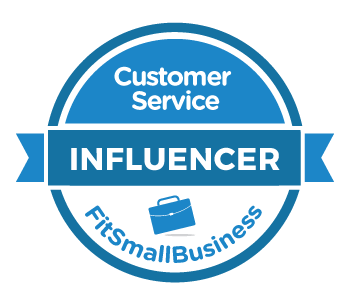 Unifying service channel personalities is one area where small businesses have a huge leg up over larger organizations. The smaller scale makes it easier for one person, often the owner, to infuse his or her personality into each channel. In many cases, the owner is also primarily responsible for each channel. Antica Trattoria is my favorite Italian restaurant in San Diego. Their food is outstanding and their service is warm and personal. They also have consistent personalities across all of their channels. Chef and owner Francesco Basile personally manages their social channels. He runs their Facebook page and responds to reviewers on Yelp. If you dine there, you are likely to meet him while he's mingling with guests. Basile’s hands-on approach translates to a consistent feeling no matter how you interact with the restaurant. How can larger companies emulate this? By doing the same things they do to scale up other parts of their business from small to large. Codify it so your organization’s implicit understandings become explicit. Measure it we can gain a clear picture of how well we’re doing. Manage it so we can ensure we’re heading in the right direction. Not coincidentally, these three steps match the first three steps an organization must take to create a customer-focused culture.